Today, Kayla Roof, a fellow milspouse and blogger, is sharing her tips for starting a business as a military spouse. Enjoy! The start of a great business always begins with a vision. When coming up with your big picture plan, there are a few key elements you need to make sure you have clearly identified in order to begin. The first questions you need to ask yourself are, “why am I starting this business, who do I want to help, and how do I want to help them?” Then, you’ll need to determine how your business is going to make money. What types of products and services are you going to sell, who are you going to sell them to, and how much are you going to sell them for? Next, you’ll need to determine if your business idea is one that will move with you to each duty station. If your business requires a brick & mortar location like a cupcake shop or a boutique, then you may need to go back to the drawing board to figure out how you can transform your idea into one that requires only a laptop and a cell phone to operate. Naming your business is a very personal decision. Keep it short, sweet, and easy to remember. You want a name that resonates with you, a name you can be proud of, a name that has meaning to you and your customers. It’s something you need to take time to think about. Don’t over complicate it or try to get too clever. Once you decide on a name, go to a domain name registrar and see if it is available. I recommend securing the .com in whatever name you decide. Make sure do a trademark search before moving forward with your business name. You can visit The United States Patent and Trademark Website to find out if anyone else is already using your name. Decide on the Right Legal Structure for your Business. Register your Business Name with Your State Government. (Also known as your DBA “doing business as” name. Find-Out if Your State or City requires Business License or Permit for your particular type of business. The Small Business Administration (SBA.gov) has links to all of the state requirement. The key to running a successful business is having the right tools and systems in place so that you can focus on growing your business and serving your customers. Think about what are you are going to need to operate your business. Will you need a website right away, or can you get started selling in person, on the phone, or by utilizing online platforms? Next, think about how you will deliver your products and services to your customers. Will you need to ship or can you deliver your goods digitally? You’ll also need to determine the financial tools you’re going to ensure you get paid quickly from your customers. I recommend setting up a separate business checking account for all of your payments and your expenses to go through. Last, think about the marketing tools you’re going to need to tell people about your business. You may need to start separate business social media accounts to connect with your perspective customers. Creating and launching a business can feel overwhelming at times. Often, some of the aspects you’ll be working on with be out of your “Zone of Genius.” Find someone or a group of people that can help you fast-track the process so you can spend less time getting hung up on tough questions, and more time doing what you do best. Being an entrepreneur can also get lonely, so having a mentor, or being a part of a group of like minded business owners can help motivate and encourage you to take your business to the next level. I’m so excited for you to start your entrepreneurial journey. Creating a PCS Proof business will allow you the freedom to work from anywhere! Follow these steps and you can get your new milspouse owned business up and running in no time. If you’d like more information, check out my free list of PCS-proof business ideas. I can’t wait to see what you come up with! A huge thank you to Jo for letting me share this information with you today. Feel free to connect with me or ask any questions over at KaylaRoof.com. 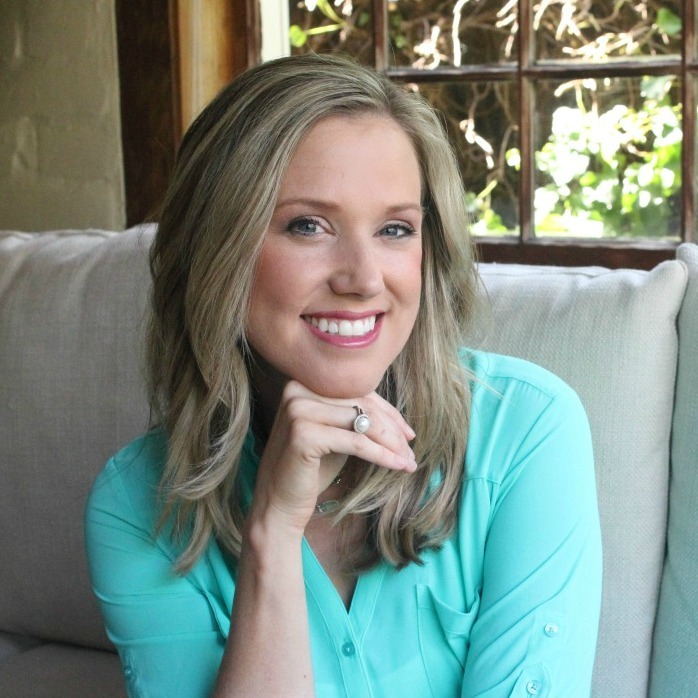 Kayla Roof is a business advisor for ambitious military spouses and the creator of The Work from Anywhere Business Academy™. Since 2005, Kayla Roof, MBA, has been helping companies grow their business with the power of traditional media, the Internet and Social Media. With product and service sales of over 18 million, Kayla worked as a local consultant for television stations, helping over 150 companies produce dramatic business growth. Graduating from The University or Georgia with a BBA in Marketing and from San Diego State with an MBA, including an emphasis in marketing and entrepreneurship, Kayla’s marketing plans have been emulated across the country. In 2012, she started her own marketing firm and quickly built that business into a successful agency handling over 1 million in advertising annually. In 2014, she launched TheNavyMom.com and turned her blog into a local television show in Jacksonville, Florida, focused on helping military spouses get dialed into their new city. Proud military spouse, mom of two boys, and flourishing entrepreneur, Kayla currently resides in California where she focuses on helping other military spouses create and power up their own businesses. You can access her free training at KaylaRoof.com.